Are Casinos Headed Closer To New York City Soon? New York State has yet to move forward on regulations for sports betting at four upstate New York casinos, nor on whether a three-year referendum process is needed to permit mobile sports betting across the state. That isn’t stopping MGM from now going all-in with a lobbying push to turn its newly acquired Yonkers Raceway racino into a full-fledged casino — complete with sports betting. MGM, which finalized its $850 mm purchase from the fabled Rooney harness racing family in January, previously had generated some buzz about converting its Empire City slots parlor into a full-fledged casino — something not currently permitted. There also has been talk about construction of a hotel, theater, and other items associated with such a site. But on Tuesday, MGM’s new president met with lawmakers in Albany to talk about how to “start unlocking value now” by expanding the Yonkers site’s gambling options. The gaming industry giant also has lined up the backing of city and Westchester County officials but must lobby state legislators — and most importantly, a still-reluctant Gov. Andrew Cuomo. One of the aspects of the New York state law passed in 2013 to allow for four new commercial casinos was that no casino be built in the New York City region before 2023. 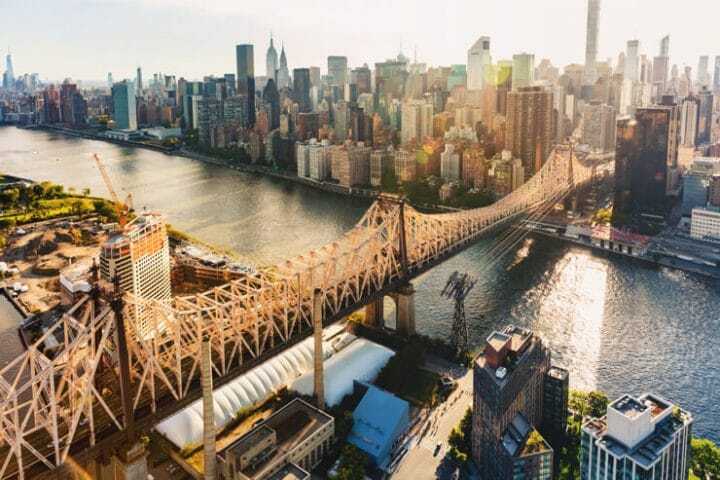 That opened the door for a host of bidders in Orange County — a few of them no more than 35 or so miles from the George Washington Bridge — to potentially open their doors much earlier and get a strong head start before someday taking on downstate rivals. But ultimately, no Orange County site was chosen. And now the stars may have aligned to bump up that 2023 timetable, with sports betting presumably in the mix. Hours after MGM’s public lobbying effort, Resorts World at Aqueduct Raceway joined MGM in its backing of new casino licenses. The Queens site has the same parent, Malaysian gaming company Genting, as Resorts World Catskills. So while the latter could be harmed somewhat by the addition of more gambling at Yonkers, the Queens site would benefit the parent company enormously if live dealer games and sports betting were made available. The question is, how could MGM and Genting get the other upstate casinos to go along with a change? All four casinos are underperforming projections and could use cash infusions. The sites already are entitled to as much as $250 million or so in rebates from their upfront costs if the 2023 timetable is moved up, and the massive potential dollars to flow from full-fledged casinos at Yonkers and Aqueduct could set the table for a deal. Three of the sites are beyond a practical car ride from the New York City area, giving them plenty of incentive to listen to offers. The lag in bringing sports betting to the four new casinos also doesn’t bode well for efficiency, since the 2013 law expressly permitted it at those sites pending the removal of a federal ban that indeed was erased by the U.S. Supreme Court last May. Yet no regulations have been finalized all these months later. Legal sports betting at Yonkers in particular would recoup some of the revenues the state currently loses each month to residents who need only cross mere yards over to the border into New Jersey — which offers more than a dozen legal online sports betting sites — to make their wagers. But for state budget purposes, a potential bonanza of hundreds of millions apiece in casino application fees from Yonkers and Aqueduct and a big boost in annual tax revenues would dwarf the relatively meager tax dollars to be reaped from the low-margin profits in sports betting. That could move downstate casino plans, which incidentally would include sports betting as well as the likelihood of statewide mobile betting “skins” controlled by the two companies, up in the pecking order. The question is whether MGM and Genting can promise enough dollars to offset the rebates due to the four existing casinos. An Aqueduct casino license would be delayed gratification for Genting, which had offered a bid for an Orange County casino in 2014 at the Sterling Forest ski resort area that straddles the New Jersey border. However the latest lobbying plays out, the New York state law opens the door for up to three casinos in the New York City area once 2023 rolls around. Would a Manhattan site ever be approved? Will the nearby Meadowlands Sports Complex have a casino by then? The landscape of the tri-state area — don’t forget about MGM’s proposed Bridgeport, Connecticut casino! — will change dramatically in the coming decade. It will be fascinating to see who wins big, and who loses by the same margin.